The very first use of steel building dated back to the late 19th century, when the best constructors of Chicago, Paris and London are seeking a solution for severe cracking problems of brick, stone and terracotta buildings all over Europe and North America. Steel buildings were since then proved to be excellent alternatives for conventional building solutions, which became more and more expensive and disruptive. The 20th century saw the development of the metal industry and brought an abundant availability of steel to the market, leading to the prevalence of steel buildings, especially after World War II. The use of steel buildings was then significantly expanded due to its flexibility and cost efficiency, and has become the trend in the mid-20th century’s construction. Pre-fabricated buildings were first introduced in 1960s, when manufacturers got the ideas of pre-making all the components including roof, floor, frame walls, bracing, etc. Constructors just need to put these parts together to make a building stand, while the first computer aided design program for steel building was also created in the 1960s, allowing steel buildings to be made with a variety of designs, features, shapes and sizes and most importantly, safer& faster to construct. The applications of steel buildings have expanded over years with the development of the world’s engineering capabilities and the innovation of the steel industry. Today’s engineers can design steel buildings to suit various applications with the availability of computer aided design software packages. Straight Walled Steel Building: less sturdy compared to Arch Steel Building, but providing more usable space inside. This building type is also easy to blend into the surrounding architecture, making it ideally used for commercial, industrial, and other occupancy types. Clear Span Steel Building: using large overhead support beams in place of inside support columns. This offers a wide, open interior space, while you can easily rearrange floor plans according to your need. Clear Span Steel Building is a great choice for factories, warehouses, storage units and aircraft hangars. 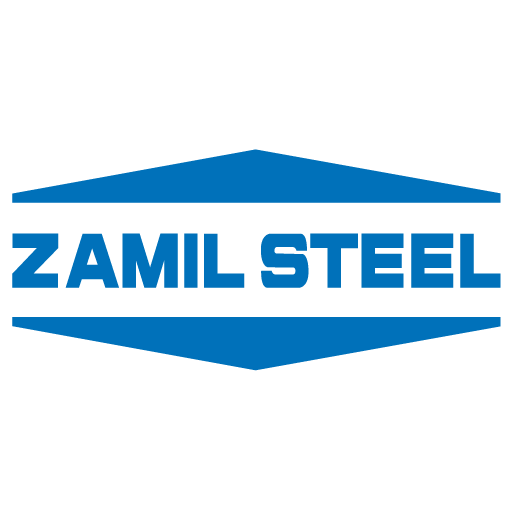 Browse through the various applications of ZAMIL STEEL’s products. Calculating the cost of a steel building might be challenging, since you have to consider many involved factors. As a matter of fact, there’s not only materials involved. Price of a steel building may vary according to size, design, availability of raw materials and other factors such as time-delivery, shipping location, etc. Erection method: to erect by yourself or having a general contractor to do the work? Time delivery: do you want your buildings delivered quickly? Once you’re ready to consider all these factors, contact our team today to get an immediate quotation. The use of steel as a construction material is widely accepted thanks to its durability, strength and resilience. In some regions, natural disasters such as earthquakes, cyclones or hurricanes can strike anytime. While the use of concrete structure needs regular maintenance, it can also cause lots of causalities when damaged or collapsed. In such cases, steel buildings are more resilient. Due to the fact that termites, rodents and insects cannot house in steel structure. While concrete and wood cannot be reused, a steel building can be reinstalled, moved to other places or recycled many times. Components can be shifted from one place to the other without difficulties, with options to extend the structures as your needs. Still wondering whether to opt for steel buildings? Reducing construction time with in-house design & fabrication, pre-made components & on-site erection of the steel frame. Can be reused mostly in a downgraded form such as filling material. Steel may be recycled in its original or near-original state. Approximately 86% of the steel sections are recycled to create more steel products and 13% are reused in their existing forms. The key to sustainability in steel construction lies in its design. It should be readily dismantled. Bolted connections are preferable to welded connections. Reinforced concrete is resistant to explosion and impact. It resists high temperature from fire for a long time without loss of structural integrity. Steel buildings are more resilient to natural disaster such as hurricanes, earthquakes, typhoons or cyclones. Concrete buildings are heavier in weight, only parts of the buildings are reusable; while construction needs more manpower and more time-consuming.